Top hotel chains are set to expand aggressively in East Africa as annual tourist earnings are expected to surge from the current $7 billion to $16 billion in 2020 and many countries continue to discover oil and gas in the region. According to Imara Africa Equity Research, South Africa’s Protea Hotels, the Hilton Hotel and the US-based Starwood Hotels and Resorts Worldwide among others have grand plans aimed at tapping into Africa’s expected tourism and economic growth. As Africa’s economic blocs set in motion plans for free trade between countries, earnings opportunities abound for these hotel chains. In anticipation of growth in the region, these hotel chains have in recent years injected billions of dollars in the east African region, where oil discoveries have recently been made in Mozambique and Uganda, among other countries. Protea Hotels is poised to launch five new properties in East Africa, according to Imara. In the next half-a-decade, Protea Hotels is set to build two new properties in Uganda, Rwanda and Zanzibar, a semi-independent island off the coast of Tanzania, the research house said. In the second quarter of this year, the hotel chain is to add 100 more rooms to its 73-room Protea Entebbe hotel, Imara added. The erection of a brand new Protea Hoima Hotel in the oil-rich region of northern Uganda starts in the next four years, Imara continued in a report. 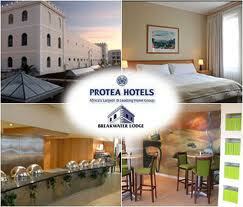 It has also emerged that Protea Hotels is also looking at new breaks in Kisumu and Nairobi, Kenya. In addition, another hotel chain, Hilton Hotel, which is playing a major role in Nairobi, Kenya, is building a hotel in Kampala, Uganda, Imara has revealed. And plans are afoot for the construction of another hotel in Dar es Salaam, Tanzania, it said. According to Imara, officials from the US Starwood Hotels and Resorts Worldwide recently said they intended to launch six brand new hotels in Kenya and Tanzania in the next 36 months under the Sheraton franchise. One property will be in Nairobi’s CBD. Another will be launched at the Jomo Kenyatta International Airport. A third will be set up in one of the game parks, Imara predicts.